In my last post I explained why we decided to build a new home, but after that, there was a lot more planning to be done. Everything needed to be thought through. Our main concern was the floor plan and making sure it would be livable all on one floor with at least one entry without steps. After many different iterations, we came up with a floor plan that has a bedroom and bathroom on the first floor with an open kitchen/dining/living area. The bathroom will have a curbless shower so you don’t have to step over a threshold to get in. We're planning to build a garage down the road, so we then will have an accessible entry. We’ll be able to drive into the garage, get out of the car, and walk right into the house, with out going up a single stair. Environmental concerns were another huge factor for us. We want our home to be as relatively low impact to the environment as possible while also creating a healthy living environment us. 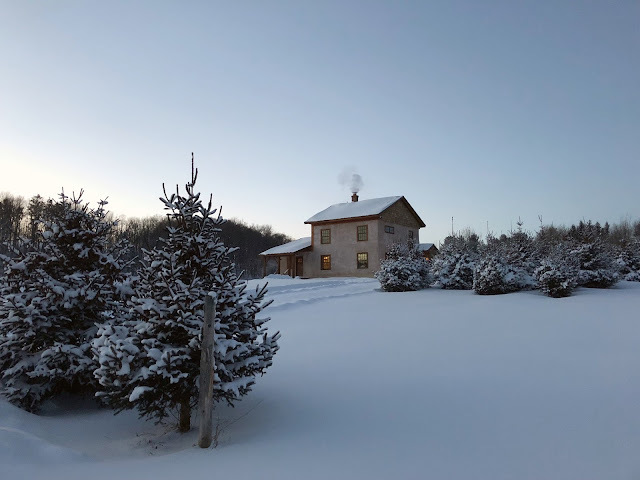 We researched a few different natural building methods like cob, and light straw-clay, but were most drawn to straw bale because it seemed like a good option for our climate and because straw is readily available in our area. After attending a straw bale workshop, we knew for sure it’s what we wanted to do. In terms of framing, we could have gone a few different routes (standard stud construction, load-bearing straw bale, etc. ), but we were drawn to timber frame from an aesthetics perspective so that’s why we ultimately chose it. Tying the timber frame into the straw bale can be tricky, so our designer encourage us to go with a hybrid framing system. 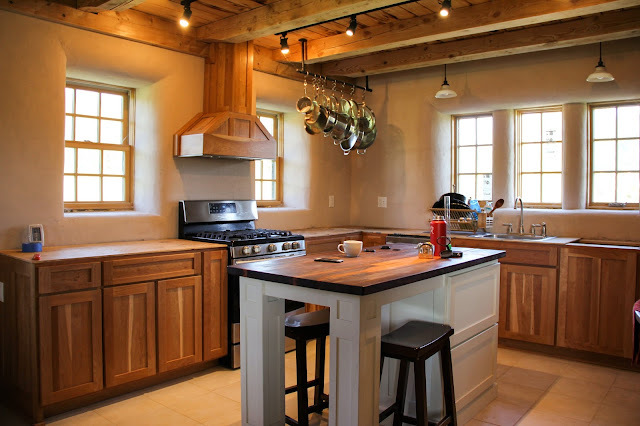 The interior is timber frame, while the exterior walls are standard stud construction. After going through the whole timber framing process, we’ve really enjoyed doing it from a building perspective. It’s an age-old trade, especially how we did it (more on the later, I promise! ), but the whole thing is really cool and very satisfying when it all comes together. Once we started sourcing materials, we tried our best to choose materials that are local and as low impact as possible. 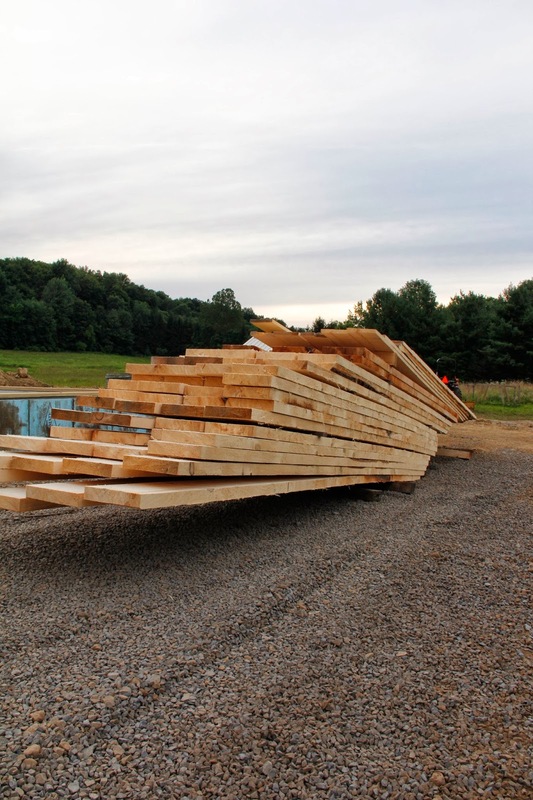 All of our lumber was locally sourced from a mill about 45 minutes from us. Except in areas where structurally necessary, we’re not using plywood or pressure-treated lumber and therefore are greatly reducing the amount of harmful chemicals and glues in the structure. The straw was also locally sourced. Using straw as opposed to fiberglass means that there are no harmful materials within our walls. Our attic will be insulated with either cellulose, which is a recycled material, or AirKrete, which is so non-toxic you can eat it, and it’s manufactured just 15 minutes from us. The plaster we are using to seal in the straw has a low carbon footprint; when curing, it reabsorbs the CO2 it emitted during the manufacturing process. The insulation we used on our foundation was reclaimed from an old mall and would have just been thrown out otherwise. We minimized the amount of concrete in our foundation as much as possible. The standing seam roof will not need to be replaced for about 50 years, as opposed to shingles which need to be replaced much more often. I’m sure I left out many more, but in any case, we’ve tried very hard to be as environmentally conscious as possible, even down to what we are recycling and diverting from a landfill. All of that said, though, it can be easy to sacrifice quality for the most environmentally friendly product. I’m not suggesting you start throwing in products full of CFCs because they might last longer, I’m just saying that you should do your research. Know the products, know what you’re building, and know what you want to accomplish. 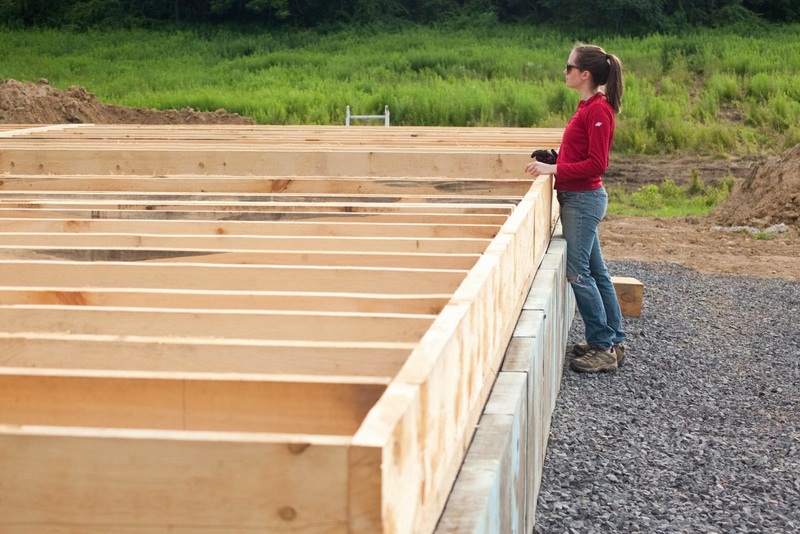 For example, we went with an 8-inch foundation wall rather than a 6-inch wall because the contractor vehemently did not recommend a thinner wall and went so far as to say we needed an engineer to certify that the wall wouldn’t fail and he was free of liability. This meant more concrete, but it meant our foundation wouldn’t crack. There are trade-offs with everything, but you can still find ways to maximize efficiency as well as the overall health of your home. It's an ongoing process and we're making decisions about these things on a near daily basis, but every little bit truly counts, so I encourage you to do what you can, even if it seems small. I'm not one to make resolutions, but if you can make one change this year, I hope you do so by helping to preserve our planet. We only have one, after all. Happy New Year to you! I'll be back soon to update you on some real progress, like a roof . . . soon . . . I hope. 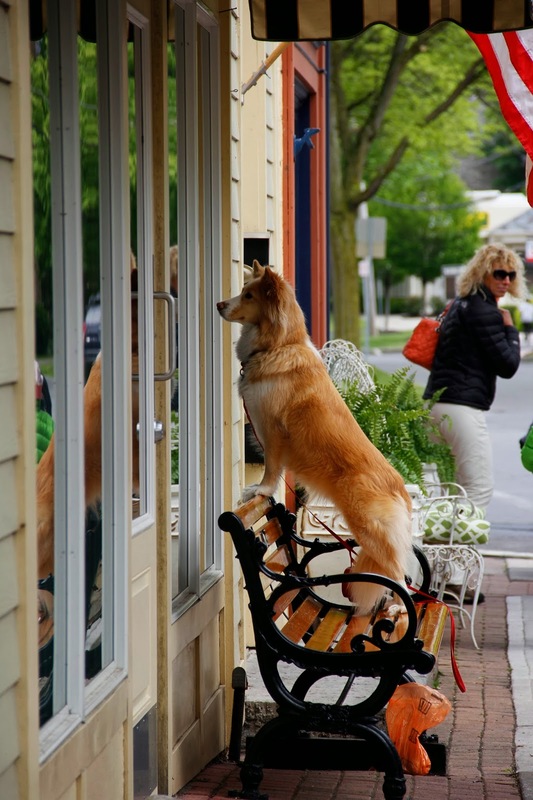 And because you made it to the end of this post and it makes me laugh, I'm going to share with you this photo of a dog staring into the window of a bakery. He's hoping for a doughnut, I imagine.